The past weekend, 6 & 7 of April 2019, Action Synergy organised at Impact Hub in Athens two seminars within the framework of Young Digital Leaders with the participation of many teachers. This project is a Europe-wide programme, developed by the Institute for Strategic Dialogue (ISD) and funded by Google.org, that aims to empower young people through digital citizenship, critical thinking and media literacy skills that reach beyond the classroom, so that they can be truly empowered as responsible digital leaders. On 2nd of April, we held at Cafe Myrtillo in Athens our #PlayEurope workshop on social entepreneurship and youth with the participation of 15 people. In the framework of this workshop, we had the chance to talk about the realities of social entepreneurship in Greece and present the manual of success stories from all over Europe and the step by step guide “Become a Social Entrepreneur in 8 steps”. The second meeting of EIRENE took place in Corfu and it was hosted by the excellent school 3rd Geniko Lykeio Kerkyras. This project is using community learning paths to improve the ability to react to the bullying phenomenon in the scholastic environment. 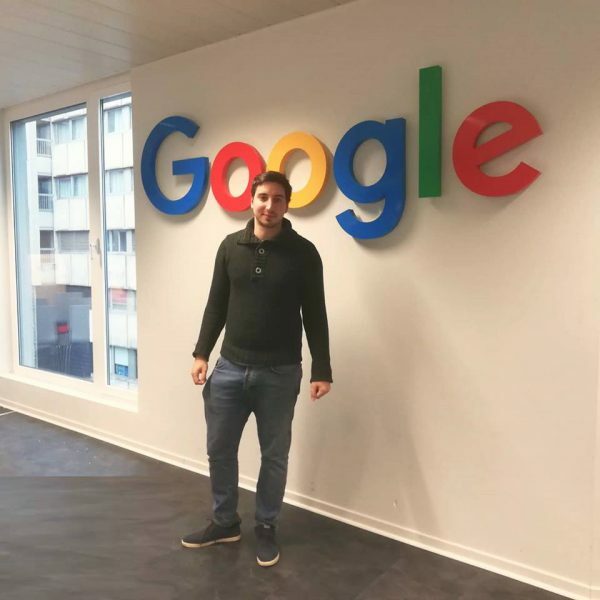 Action Synergy visited on the 6th of February 2019 the offices of Google in Brussels in order to participate in the kick-off meeting of the project Young Digital Leaders. The project, financed by Google, is aiming to promote digital citizenship, media literacy and critical thinking about the digital world in schools. It is aiming to educate young children on issues related with hate speech, cyberbullying, internet addiction, internet threats as well as other issues related with our digital life. The project is going to organise workshops in schools, workshops with parents as well as teacher training sessions. Action Synergy is going to coordinate its implementation in Greece during spring 2019. From 14 to 19 of December, Action Synergy was in Rosario, Argentina for the second meeting of LANGUP. This project aims at helping the preservation of minority cultures and languages. It is promoting employability through the raising of awareness of the employment and entrepreneurship possibilities related to the local language.